With so many trees and lawns in Southern California, it is easy to forget we live in a desert. We import millions of gallons of water from the north, the Owens Valley, and the Colorado River, and pump millions more from regional aquifers. Increasingly, water is becoming shorter in supply and greater in cost. Climate change has caused frequent, severe droughts. Therefore, it is critical to conserve as much water as possible. 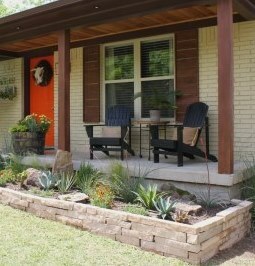 Water-wise gardening involves using landscaping techniques to help conserve water while maintaining a beautiful yard. Here's a Fact Sheet. Here are five steps to maintain a lush efficient garden that requires less water and pruning. 1. Hydrozone: group plants according to their water needs. Hydrozone your yard and garden so that low water-use, moderate water-use and high water-use plants are grouped together. Also, use elevated planting beds so that plants are watered more efficiently, thereby reducing overall water usage. 2. 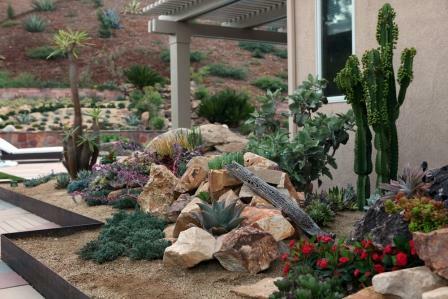 Selecting Plants: use drought-tolerant or native plants to create a low water-use, low maintenance landscape. 3. Irrigation: install sprinklers, drip emitters, and timers so you only give plants the amount of water they actually need. 4. Improve Your Soil: mix compost into your soil to improve its moisture retaining capability and fertility. 5. 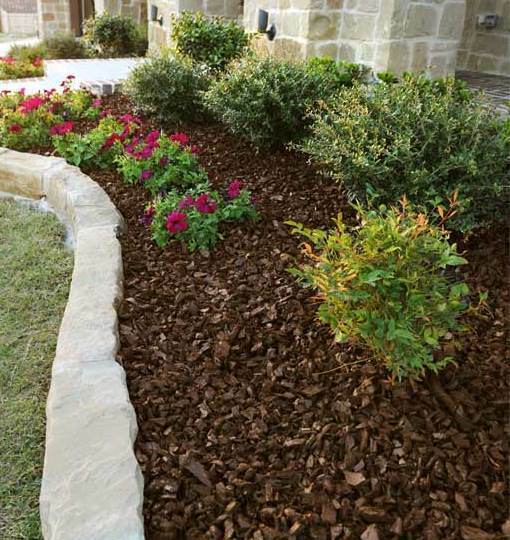 Use Mulch: place mulch around your plants, along walkways, and on top of other bare areas to reduce water use and prevent weeds.